[SatNews] Dejero has announced a strategic technology partnership with small Unmanned Aerial Systems (sUAS) manufacturer Aeryon Labs. The partnership will enable secure, real-time distribution of HD video captured by Aeryon sUAS through the Dejero LIVE+ platform. This will enable broadcasters to integrate live video captured with drone technology into their newsgathering, sports coverage, and video productions. 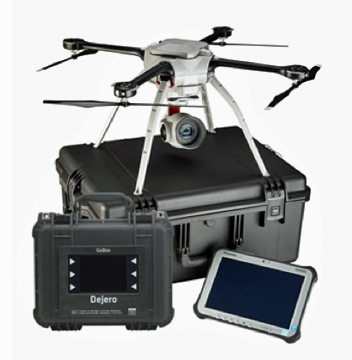 Dejero and Aeryon will demonstrate their joint solution in the Aeryon Labs booth, 2255 at AUVSI's Unmanned Systems 2015 in Atlanta, May 5-7. "There is significant and growing interest from broadcasters — especially newsgathering organizations — in drone technology because it brings a unique perspective and closer, more intimate live content, while providing greater context to news stories," said Brian Cram, CEO of Dejero. 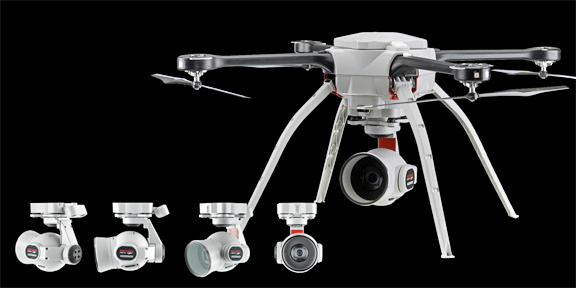 "For drone-based video to work in a live broadcast situation, broadcasters need low-latency, broadcast-quality video from a highly reliable drone system that's easy to use, quick to deploy, and proven in the field. That is what the Aeryon drone system gives them. Thanks to this partnership, incorporating live, drone-based video into newscasts is a practical reality for broadcasters." The Dejero Aeryon solution combines Dejero LIVE+ transmitters and cloud services with the imagery captured by the Aeryon SkyRanger sUAS. Dejero's line of compact, modular, and rugged LIVE+ mobile transmitters intelligently manage and bond cellular, Wi-Fi, and portable satellite connections to deliver exceptional picture quality, even in challenging network conditions. Live video feeds are previewed and managed from Dejero's LIVE+ Control Web portal. "Our partnership with Dejero delivers on our commitment to offer end-to-end solutions to customers in key industries, such as public safety and law enforcement, infrastructure inspection, and newsgathering," said Dave Kroetsch, president and CEO of Aeryon Labs. "It also underscores our strategic focus on software and services as a critical component of our product offering." The Aeryon SkyRanger is a sUAS that is rugged and dependable in demanding weather conditions when other systems cannot fly. It offers long flight times of over 50 minutes, and its folding design makes it highly portable and fast to deploy. Its intuitive touchscreen interface simplifies navigation and camera operation. With the Dejero and Aeryon products working together, broadcast-quality HD video captured by the drone can be transmitted from the field, previewed with Dejero's LIVE+ Control cloud-based management system, and routed to broadcast facilities around the globe for live on-air playout. It can also be routed to cloud servers that enable delivery to Web and mobile devices, or to Dejero's LIVE+ Multipoint video-sharing network for simultaneous distribution to multiple locations. As innovators in their respective fields, Aeryon Labs and Dejero are ideally suited to address the needs of not only broadcasters, but other industry segments as well. Because the solution will enable faster and more accurate decision making based on the availability of real-time aerial imagery, it will be useful in areas such as public safety and policing, and in infrastructure inspection for industries such as oil and gas and power transmission.